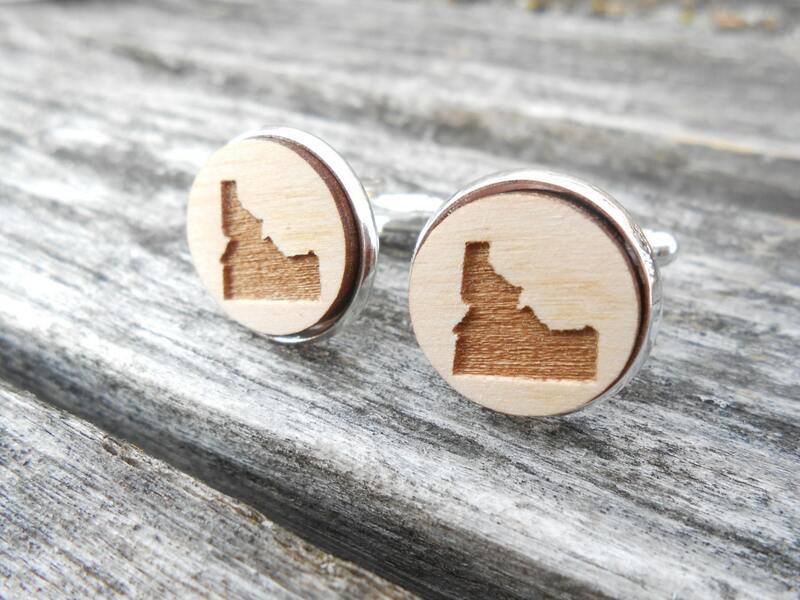 These wood state cufflinks are the perfect gift! 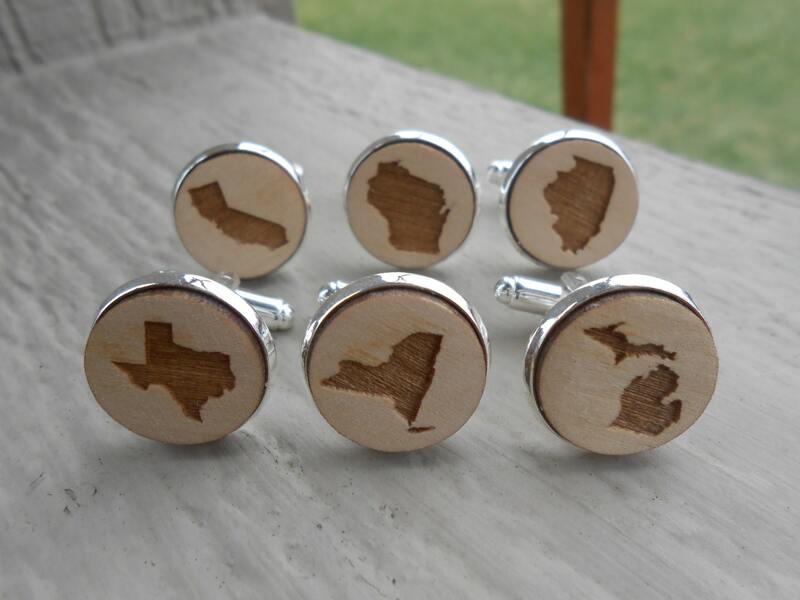 They can be engraved with your state! 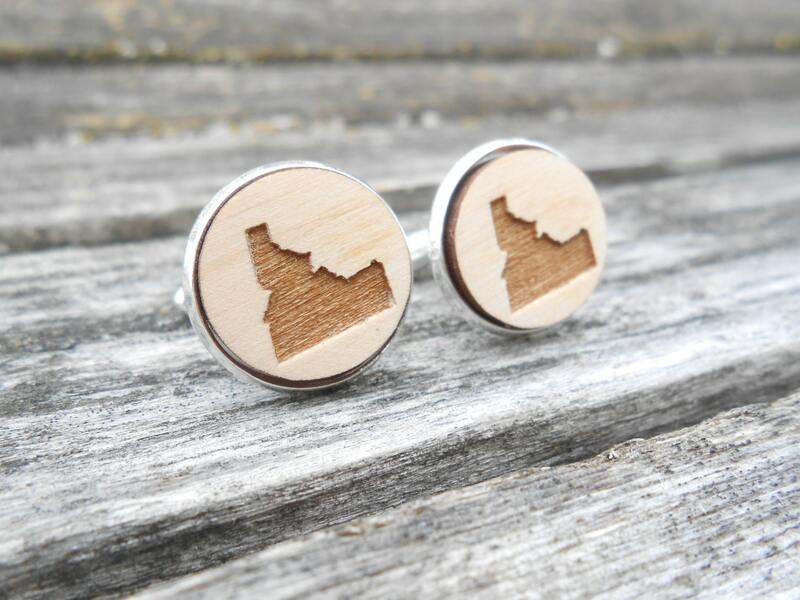 Or you can pick a different state for each cufflink. 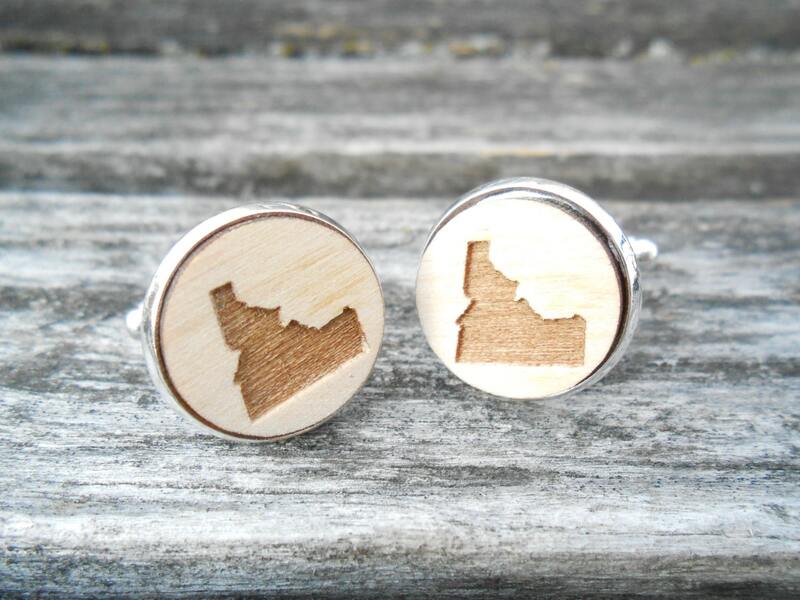 The pair shown has IDAHO on them. 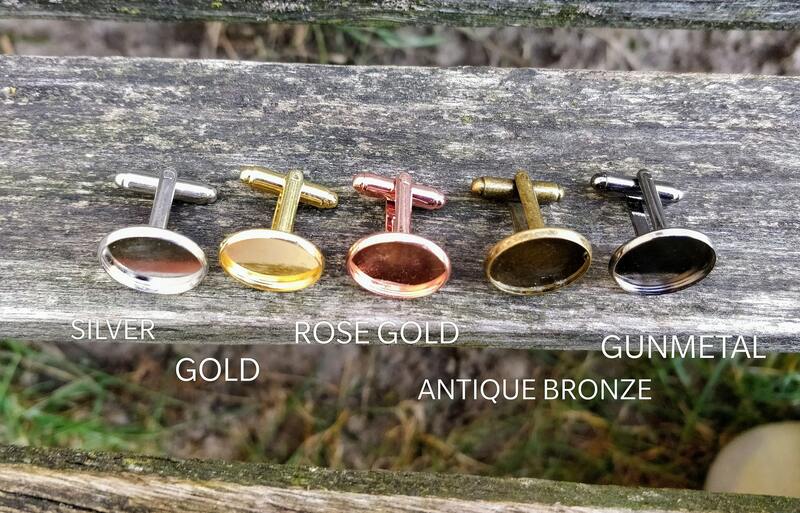 They are set in a 16mm cufflink. This listing is for one pair. 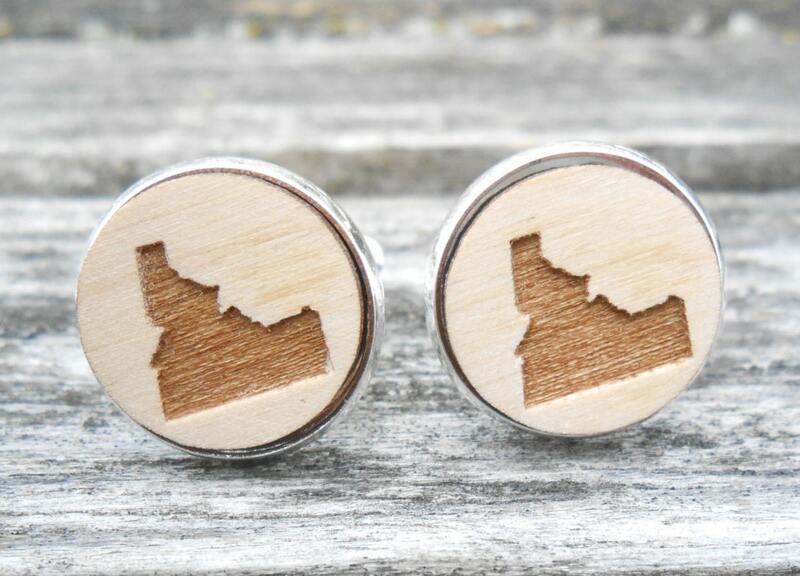 If you want a different state, please leave me a message at checkout. If you want two different states, please leave those as well.